The manufacturer’s revenue increased 6% year-on-year, reaching €2.26 billion in the October-December quarter, it stated in its financial results. Revenue from turbine sales grew 3% to €1.9 billion, while volume rose 7% to 2,129MW, driven by a 76% growth in offshore orders (609MW). Meanwhile, revenue from its services business swelled by 25% to €358 million. It reported earnings before interest and taxation (Ebit) of €138 million in the quarter — up 4% year on year — while its Ebit margin of 6% was down two tenths of a percentage point from one year earlier. Siemens Gamesa stated its margin was slightly narrowed due to lower prices in the order book for 2018 and lower onshore sales activity, but was partly offset by synergies, productivity boosts and strong performances by its offshore and service segments. It listed an average selling price for turbines of €760,000/MW — up from €720,000/MW one year earlier, and €750,000/MW in the previous quarter. However, in the previous 12 months, the average price was down 5% year on year. Overall, the company made a net profit of €18 million between the start of October and end of December — up from a €35 million loss in the equivalent period one year earlier. Siemens Gamesa was active in 23 different markets in the quarter, it stated. This included its "traditional markets" in Europe, chief financial officer David Mesonero said in a conference call. But the company was also "working hard" to crack emerging markets. The company is watching the uncertainty unfolding in Taiwan as developers pause activities in the country because of proposed cuts to the feed-in tariff for offshore wind and limits on the number of full-load hours for which it can be paid, CEO Markus Tacke said. 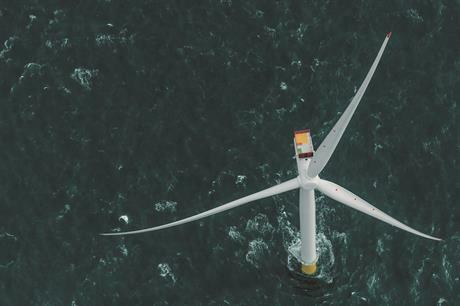 It has signed agreements throughout the supply chain, and is the preferred supplier for three wind farms with a combined capacity of more than 1.6GW. However, Ørsted — to whom Siemens Gamesa is due to supply 900MW — has not secured a power purchase agreement (PPA) for the higher tariff, and has paused its offshore activities in Taiwan. "We are supporting (Ørsted) to bring (discussions with Taiwanese authorities) to a conclusion," Tacke said. He remains positive that the Taiwanese government will follow through with its plans for 5.5GW of capacity by 2025. "I see the current situation as a short-term shortfall," he said. "I don’t see the Taiwanese government not pursuing their overall plans." Tacke also described India as facing a "difficult situation". The country’s transition from feed-in tariffs to competitive bidding caused volatility in the market in 2017, while transmission and land acquisitions remain thorny issues. However, Tacke remained upbeat on the market after it accounted for 25% of Siemens Gamesa’s wind turbine order intake in the quarter. "It is coming back after the slowdown in the market," Tacke said. India has a target of 60GW of installed wind capacity by 2022, and auctions needed to help meet this goal should drive business in the country, he added. "We see it as quite an attractive market going forward. (There is a) clear direction of future volumes," Tacke said. "I continue to have a positive view of India."